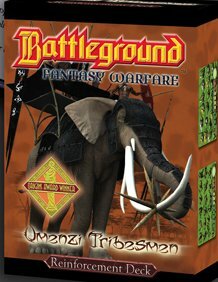 Magic spells and giant war elephants are yours to command with the Umenzi Tribesmen. The Umenzi people are devout followers of an ancient religion, inspiring their warriors with bravery and empowering their shamans and high priests with powerful spells. Stay tuned for more details and images as this mysterious new factionâ€™s arrival nears.